Home Base is a new Heaps Decent program, which has been running out of the Redfern Community Centre for about 2 months now. 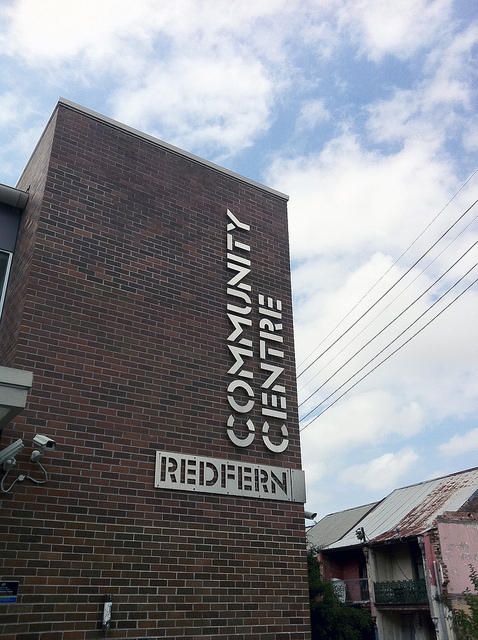 Redfern Community Centre is equipped with a pretty awesome music studio and we have been lucky enough to have been allocated 3 hours a week to work on everything music with really anyone who wants to come in. The goal is to make it a ‘Home Base’, to provide a central place and community for young people interested in music to meet each other and work together. 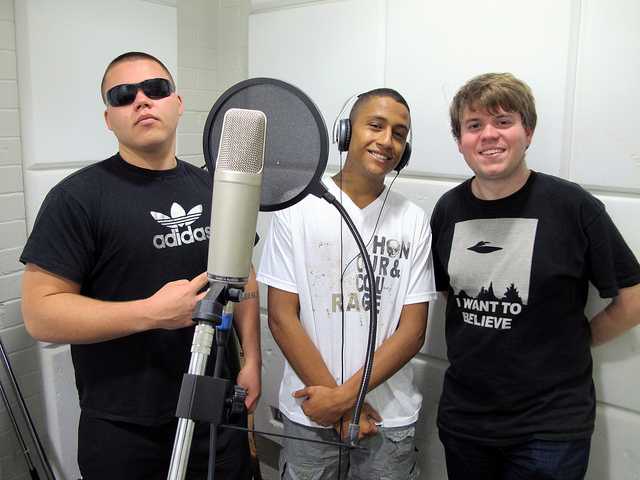 Home Base aims to be a drop in for young people with musical aspirations or to simply have some fun with music. From our first week to now there has been a steady increase of participants, we started of with only a few students. 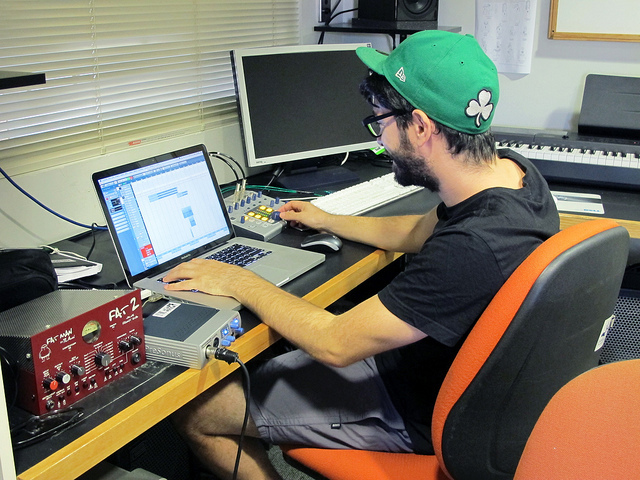 Tom who came over from Key College is producing some pretty crazy dubstep beats and we now have the awesome Jeremy coming in to help him with his production. Henry and Rhimi from the well-established hip hop group Stunna set are always in and we are working on some new original material with them. The Stunna Set boys also help us with bringing in new boys who want to record and write and also assist and encourage new boys already there. Daniel aka D-minor and Harold aka Low Tee, regulars with us are now fine-tuning their new original tunes and getting ready to do new vocal recordings with the great gear at we have use of at the centre. Harold is bringing in his sister to record on the tracks and if she sings anything like Harold I can’t wait to hear her! 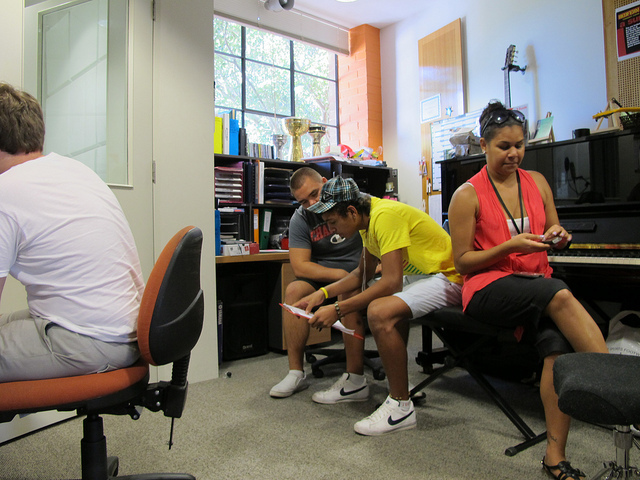 Some of the new students include Rifat, who produced and recorded his first original song with Nina. Adrian, who has never rapped before, also comes from Key College and has also produced and recorded a song with our amazing new facilitator Kristy Lee. This is just only naming a few of the students who are starting to come to the sessions. ABC TV has also been down to a session to shoot for their TV show ‘Stay Tuned’, where Nina Agzarian and I did a segment on how to make a beat. Keep an eye out for the screening time. The sessions are really starting to pick up at Home Base and we have only been working there for 2 months. In that time we have almost doubled out facilitators at the Monday sessions just so we have enough people there to work with all the participants. There will be tons of great content coming out of the session very soon, which I am very excited about. Finally a big thanks to Tania, Tim and Redfern Community Centre for use of their space to start such an exciting new program!